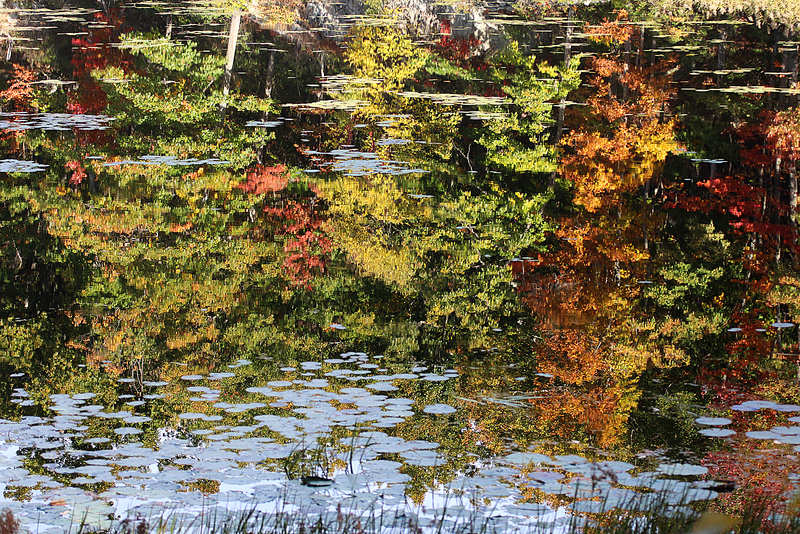 The woods of Merganser Lake in early autumn. 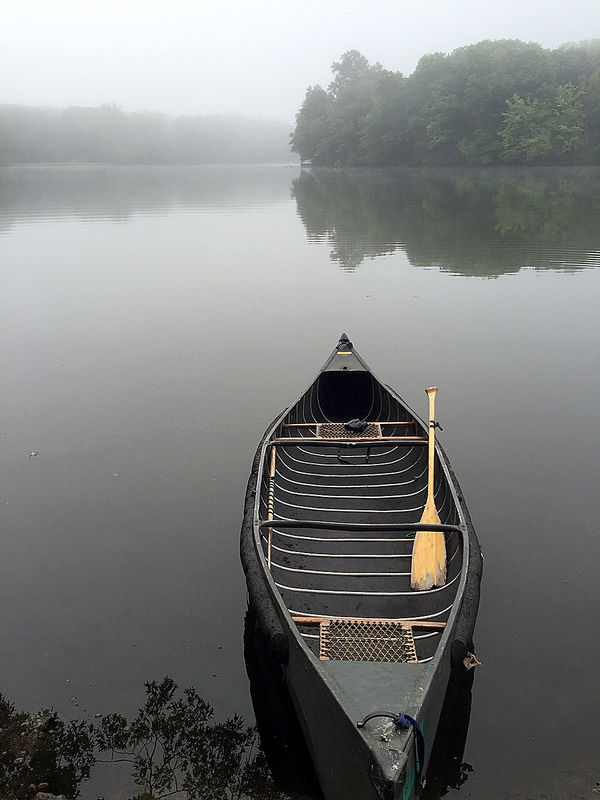 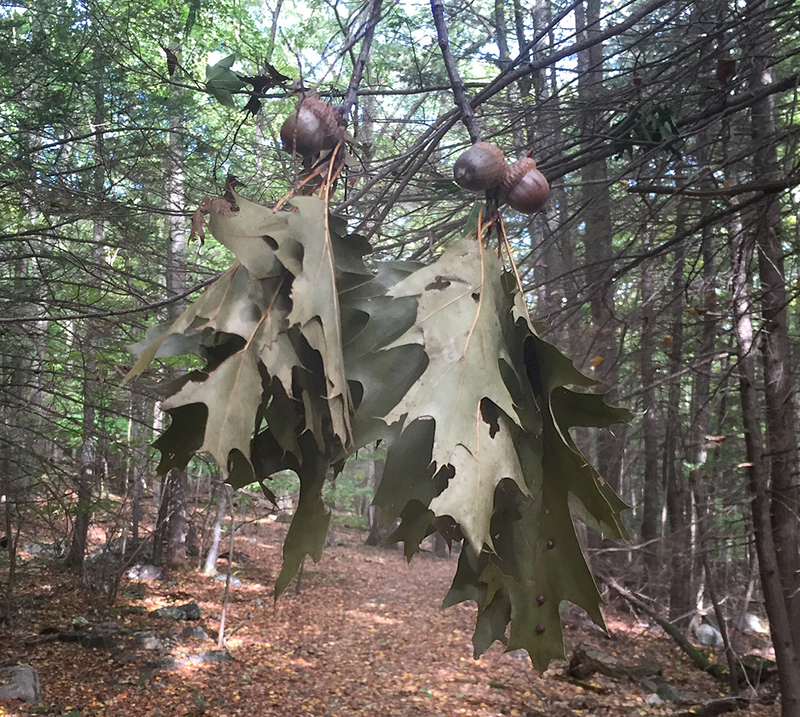 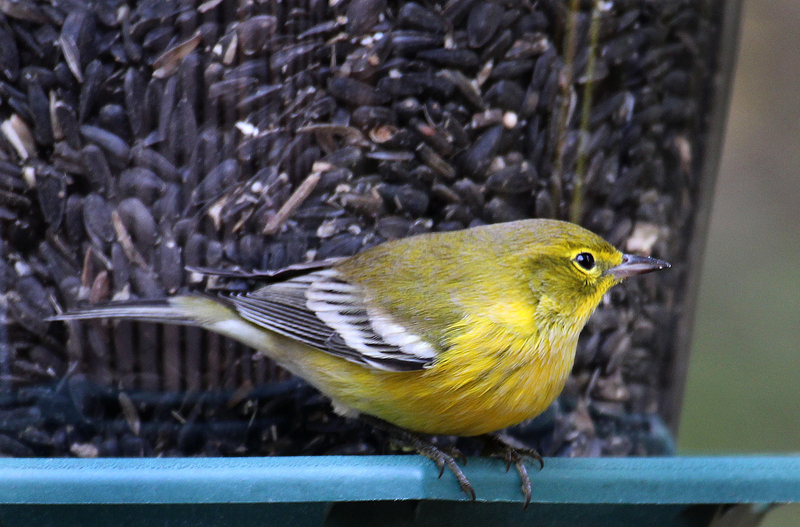 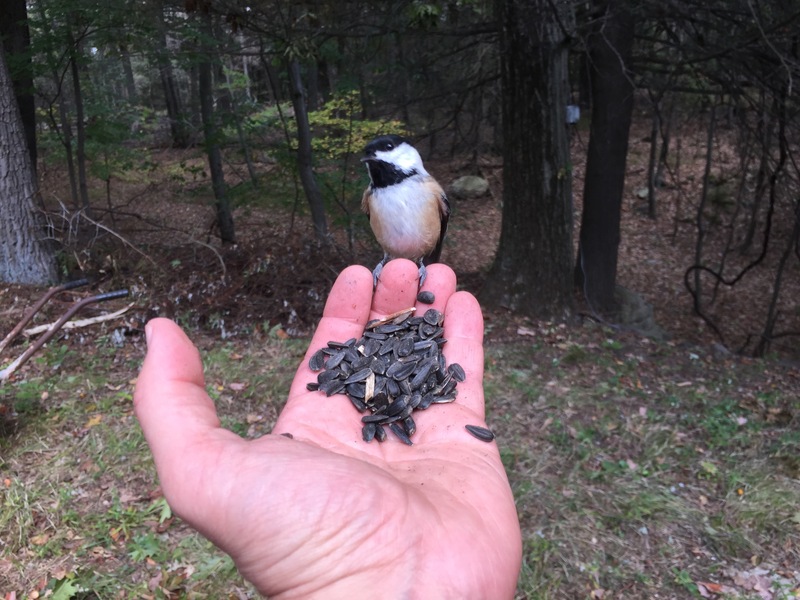 Here is the page dedicated to my birding and other wildlife experiences at my home on a small lake in Connecticut. 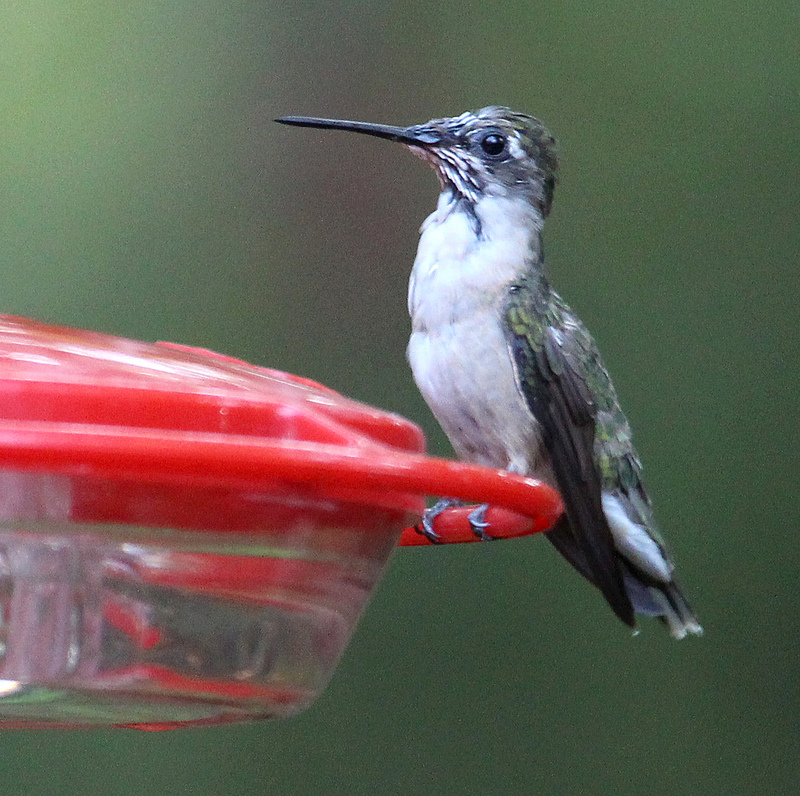 Also included are posts not so much related to birds and wildlife, but general observations about owning a house in a lake community. 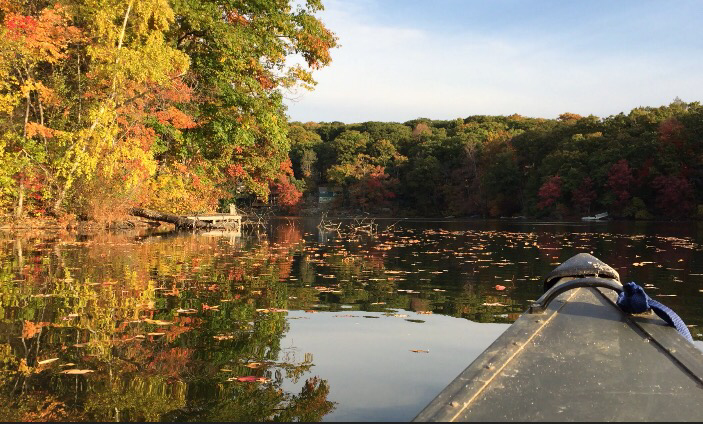 Fall colors at Little Merganser Lake in Connecticut, fall 2015. 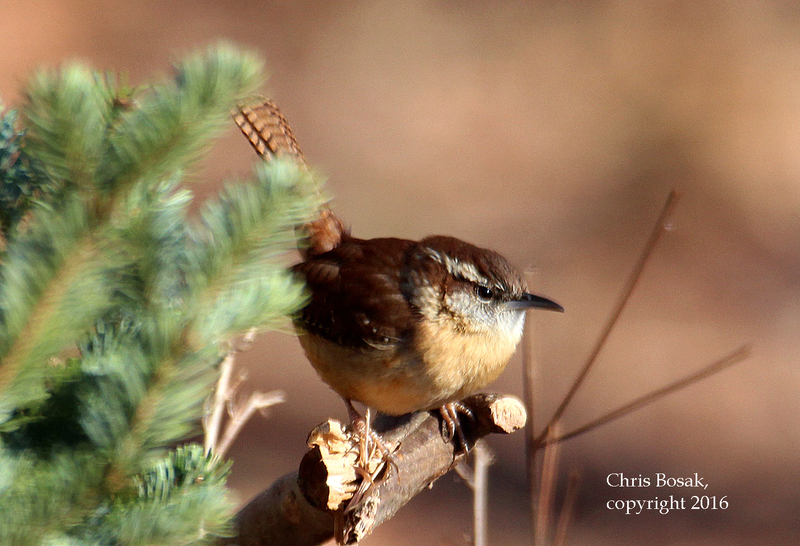 A Carolina Wren perches near an evergreen. 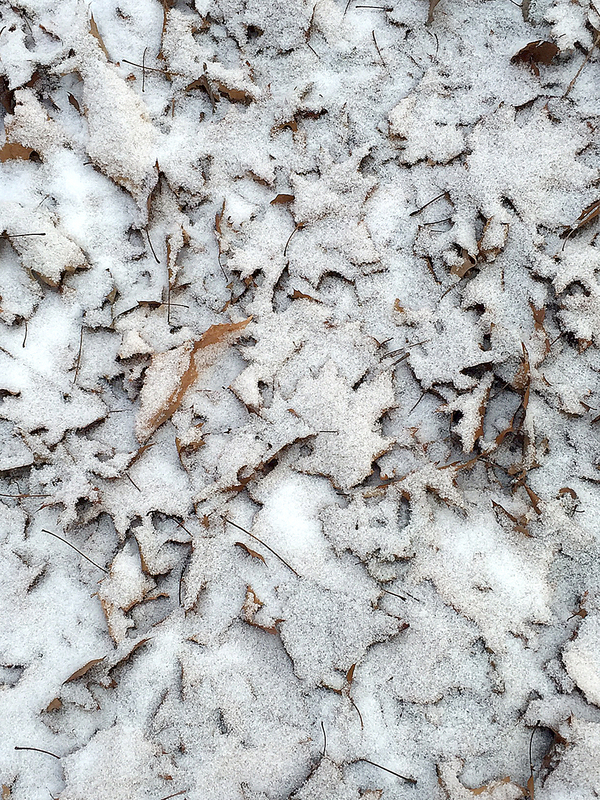 Oak leaves covered in a light coating of snow. 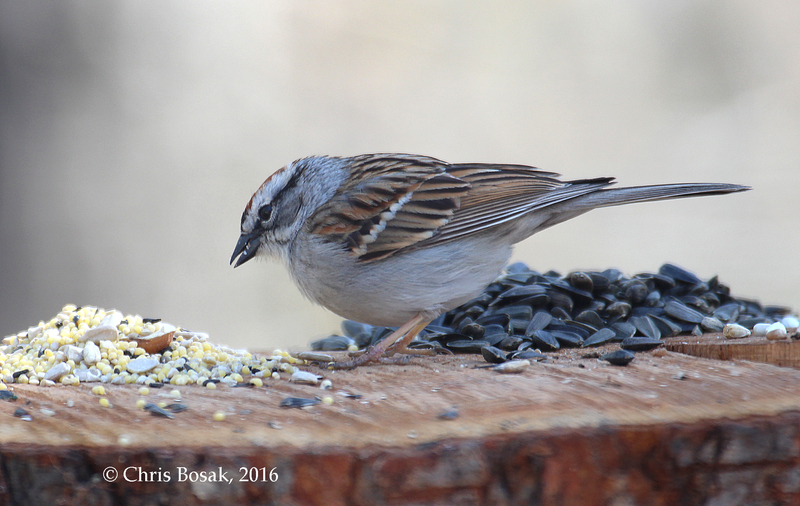 A Chipping Sparrow visits a homemade birdfeeder in Danbury, Conn., April 2016. 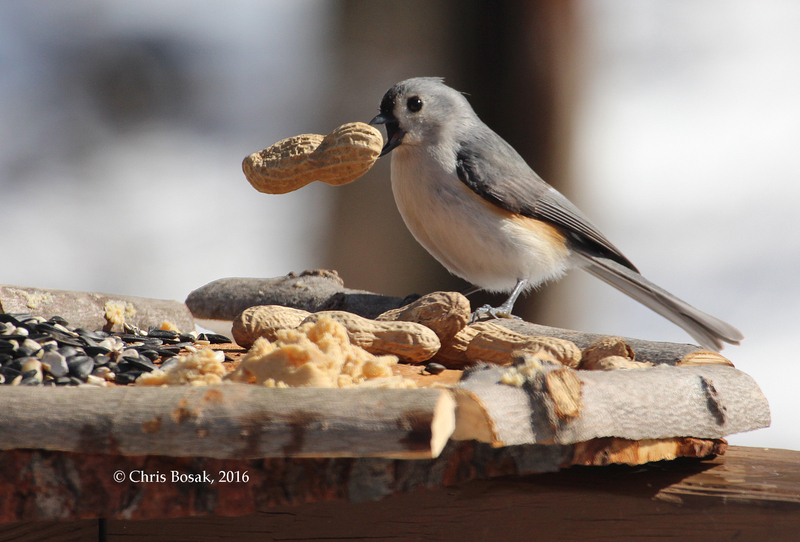 A Tufted Titmouse takes a peanut from a new bird feeder in Danbury, Conn., March 2016. 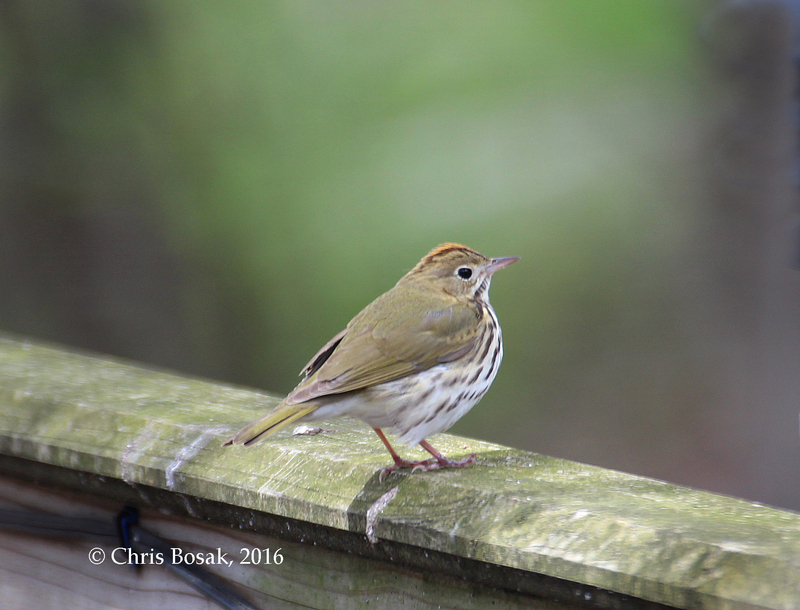 An Ovenbird stands on a railing in Danbury, Conn., April 2016.